Below is our schedule for the 2015-2016 school year. 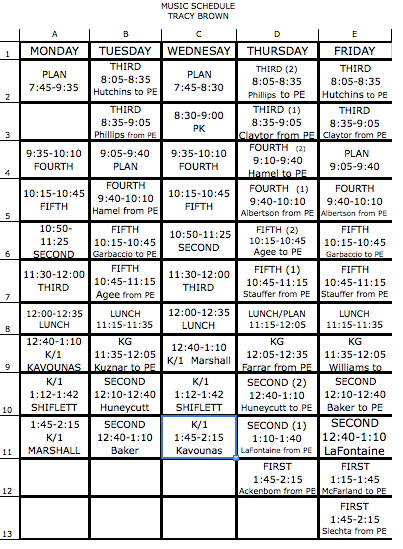 You will see the grade level, time, and classroom teacher listed in each block. Our PK-1 students receive 30 minutes of music instruction per week. Our 2-5 students receive 60 minutes of music instruction per week.